Hey everyone, so last weekend I met up with one of my close friends for breakfast as we hadn’t seen each other since before Christmas. We usually always go out to eat when we meet up as it’s always nice to catch up over food. Luckily we live quite close together so I drove to pick him up and then we headed to Chiswick which is very close to both of us. I don’t actually go to Chiswick much but there are lots of great cafes and restaurants there which I am yet to explore. One restaurant that I have seen popping up on my Instagram feed constantly is No197 Chiswick Fire Station. 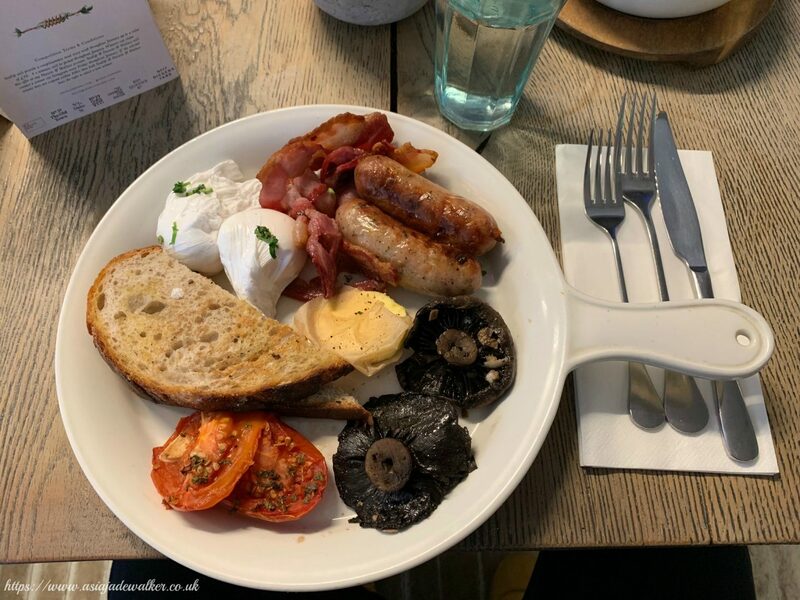 I usually see a lot of the London bloggers going there for brunch or to work as it’s a really nice location to sit with a warm drink and your laptop. It’s right on Chiswick high street which is really helpful as there is quite a lot of parking around there. There is even a small parking lot right out the front of the restaurant although it is very small so the chances of getting a space are slim. I have to admit the whole design of the restaurant is right up my street. It’s very clean cut, old fashioned but also modern at the same time. I really love the exterior of the restaurant as it’s very Instagrammable and you can tell immediately that it used to be a fire station. I loved the big windows as they brought so much light into the restaurant. Luckily we got placed near the front so I got to see what was going on outside too as I absolutely love people watching. 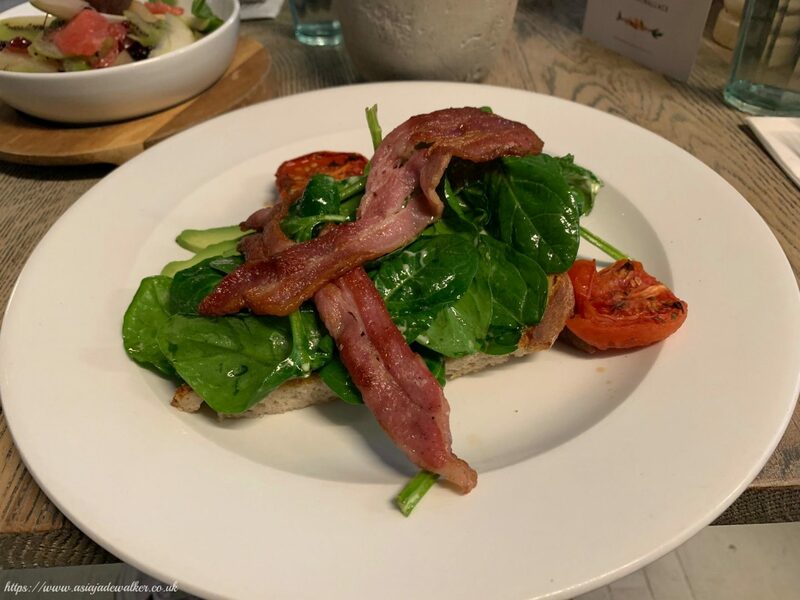 I got the “Breakfast Sourdough Bruschetta” which was £8.95 and was essentially tomatoes, bacon, avocado & spinach on a sourdough toast. 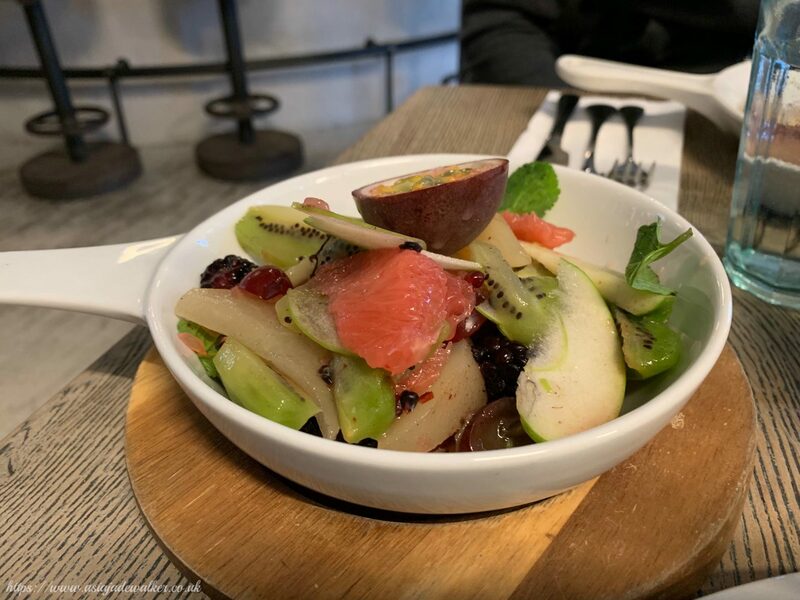 I also got the “Fruit Salad” which was £7.50 as I always like to have a balance of foods when I eat whether it’s a side fruit or side salad. 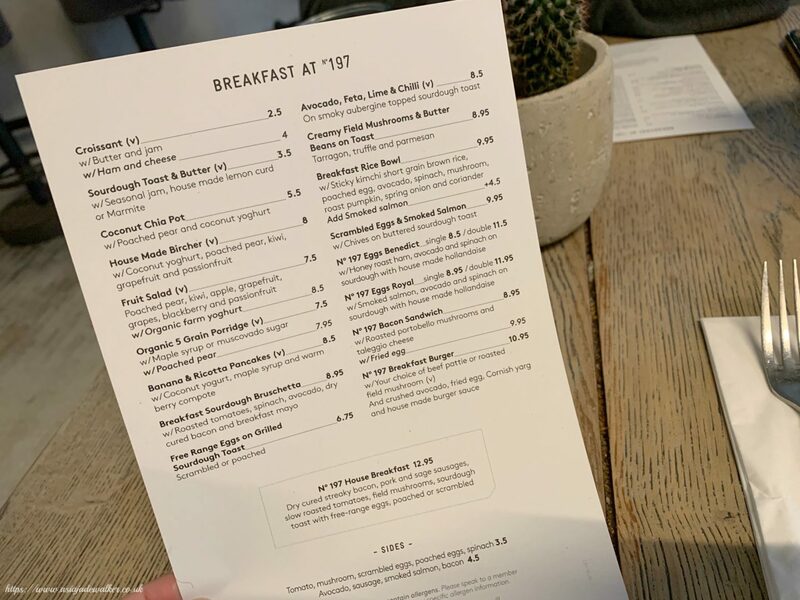 My friend got the “No 197 House Breakfast” with poached eggs which was £12.95. 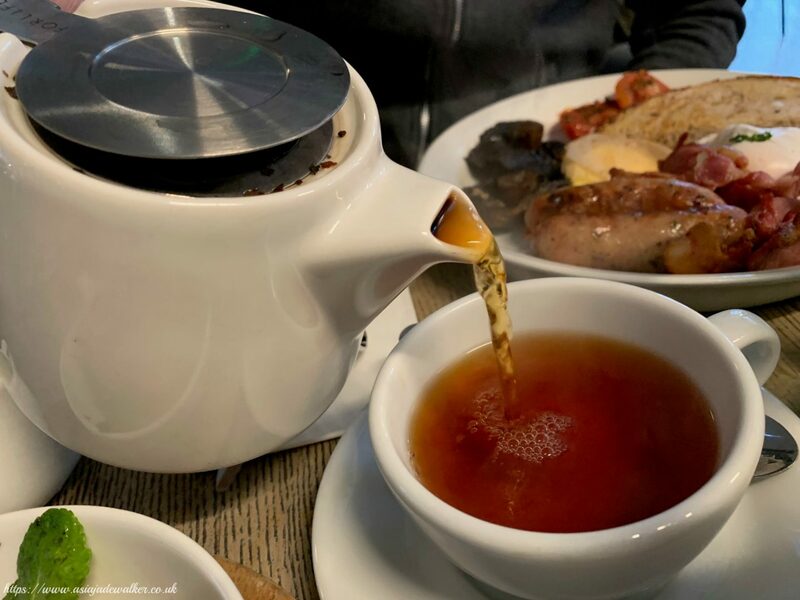 We both decided to get English Breakfast Tea as it’s a must-have when you go for brunch right? I thought that the prices of the dishes weren’t that bad at all considering it was a place that a lot of creators tended to visit. The food was actually really yummy and filling and I ordered just the right amount as I wasn’t hungry afterwards but I wasn’t full to the brim either. My friend really enjoyed his meal as well and I have to admit it looked really yummy and I would love to try it one time too. 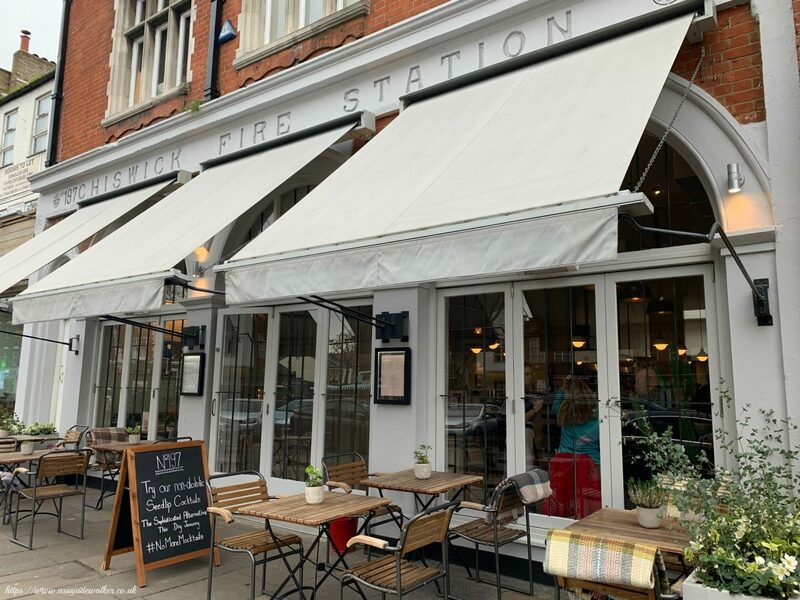 I highly recommend going to No.197 Chiswick Fire Station as it’s a really cool restaurant to go to especially if you are looking for a nice leisurely brunch on a Sunday morning. 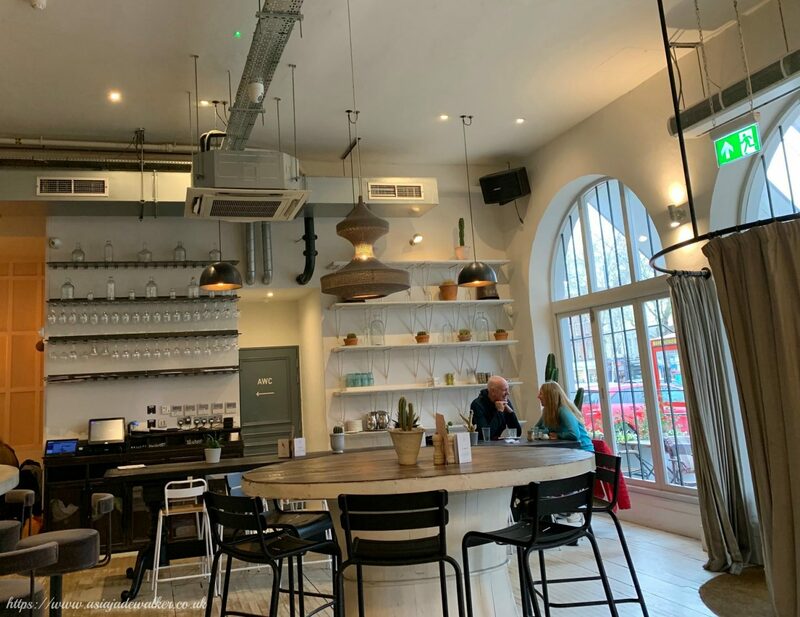 I really loved the vibe inside as it’s very laid back but also really lively as they had a DJ there. I’m not sure if it was a special event or whether it happens every weekend. 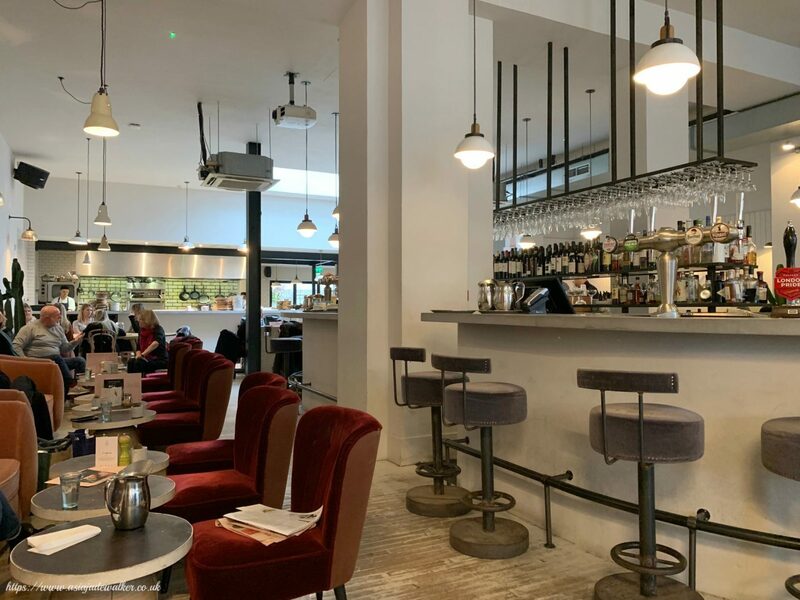 If you’re ever in Chiswick then you should definitely check it out as it’s a really good place to go with your friends or a loved one.